This project examines how ethnic and national differentiation in African nation states intertwines. Nation building is a never ending process of “state-making”, which attempts to strengthen the relevance of the nation through both polarization against outside enemies and inside minorities, and discourse on and staging of belief in communality. The project examines how ethnic and national differences in ceremonial representation of nation and nation-state are presented within the framework of national jubilees and, in particular, the recent independence anniversaries. Comparative case studies have been carried out in Ghana, the Ivory Coast and Burkina Faso – countries distinguished by different ethnic and regional heterogeneity and specific colonial and postcolonial political developments. 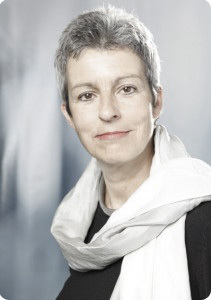 Carola Lentz has been Professor of Ethnology at the Institute for Ethnology and African Studies, Mainz University since 2002. She was previously Professor of Ethnology at the Institute for Historical Ethnology, Goethe University in Frankfurt a.M.. Professor Lentz has also been Fellow at the International Humanities College working on the thesis “Re: Work; Work and Lifecycle from a Global Historical Perspective” at Humbolt University, Berlin; WEB Du Boes Institute for African and African American Research at Harvard University; the Max Planck Institute for Ethnological Research in Halle, the Netherlands Institute for Advanced Study in the Humanities and Social Sciences; and the Institute for Advanced Study and Research in the African Humanities at Northwestern University. She was a post-doctorate scholar of the German Research Foundation (DFG) and a research associate at the Institute for Ethnology at FU Berlin, where she qualified as a lecturer. She received her PhD in the Sociology Department of Hannover University (1987). She completed her Master’s Degree in Agricultural Studies in the Tropics and Subtropics at the University of Göttingen in 1985. She had previously passed the first and second state exams in Hamburg and Göttingen for a high school teaching position in German and Social Studies. Mobility, Land and Belonging in West Africa. Bloomington: Indiana University Press. The 2010 independence jubilees: the politics and aesthetics of national commemoration in Africa. In: Nations and Nationalism 19/2. P. 217−37. Der Kampf um die Kultur. Zur Ent- und Re-Soziologisierung eines ethnologischen Konzepts. In: Soziale Welt 60. P. 305−324. Ethnicity and the Making of History in Northern Ghana. Edinburgh: Edinburgh University Press (International African Library 33). Local culture in the national arena: the politics of cultural festivals in Ghana. In: African Studies Review 44/3. P. 47–72.